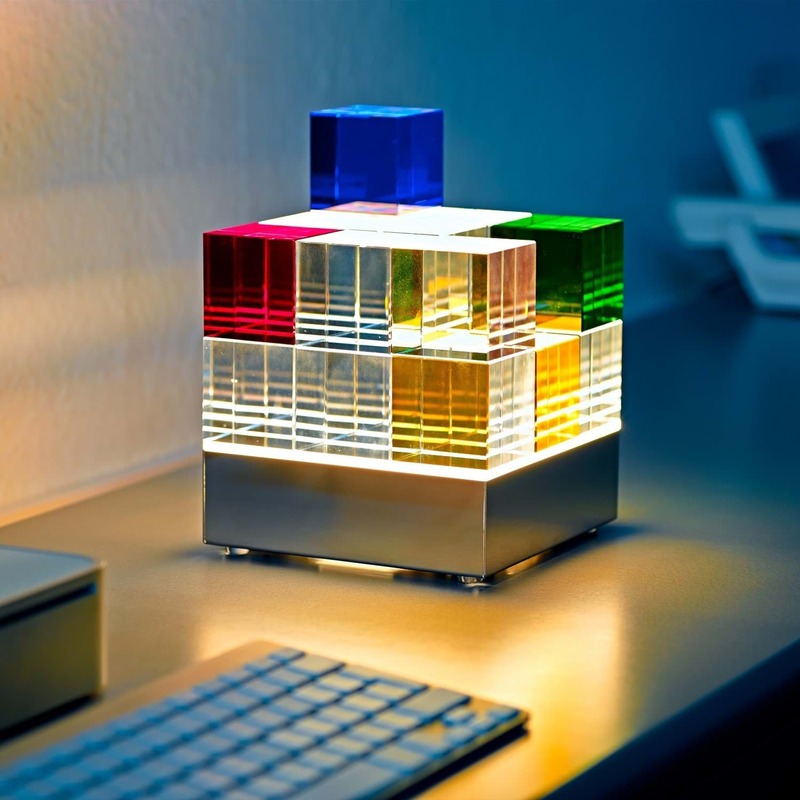 The decorative “Cubelight” lighting object comes with 18 cubes made from real glass. 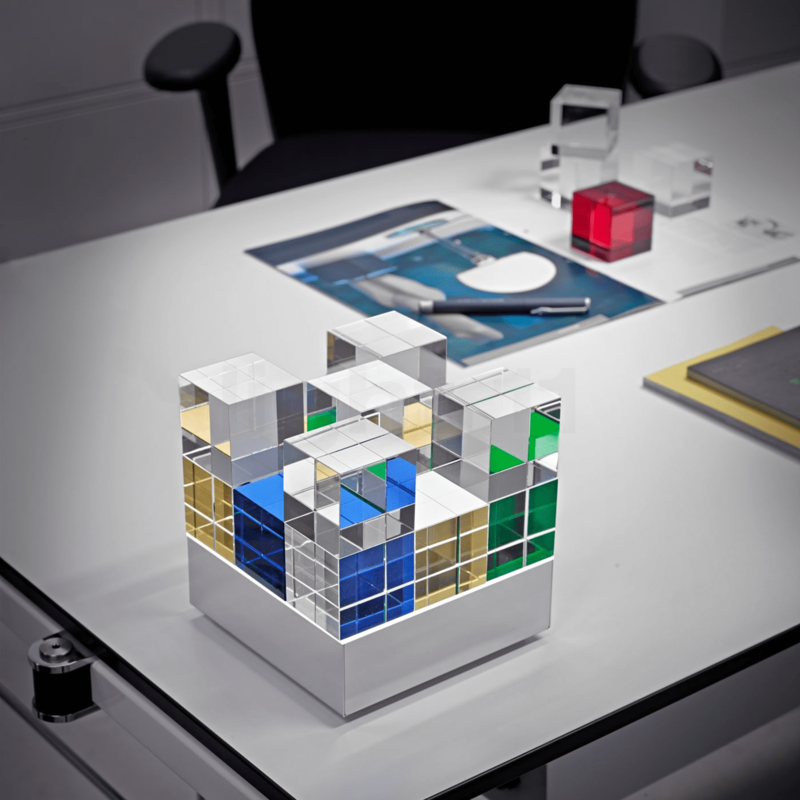 The design and light object MSCL1 is oriented on the Bauhaus school of architecture and enables an infinite number of geometric design possibilities and colour combinations. The clear and reduced design has a timeless appearance, which is underlined by the classic materials of glass and stainless steel. This purist look, however, is variable depending on the mood and personal preferences of the owner, which also allows the seamless transition from an ambient living room light to a light and artistic design object at any time. 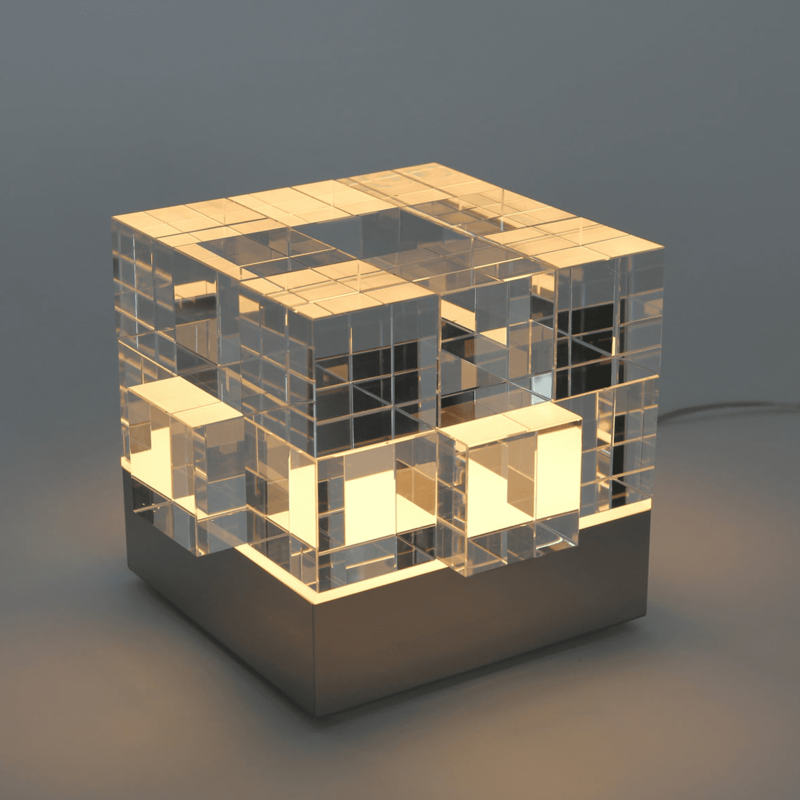 Even when it is switched off, the hand-finished sharpened and bevelled edges of the glass cubes and the innovative indirect LED lighting result in a variety of light reflections and effects, which inspire the imagination and fascination of this innovative ambient lamp. 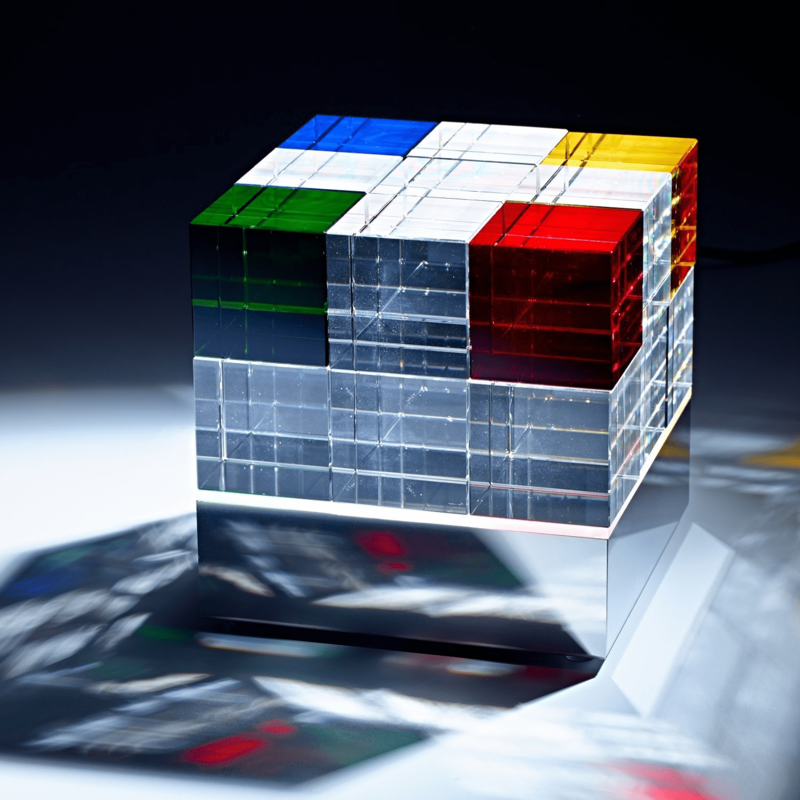 The decorative “Cubelight” lighting object comes with 18 cubes made from real glass. These can be arranged depending on your creative mood. 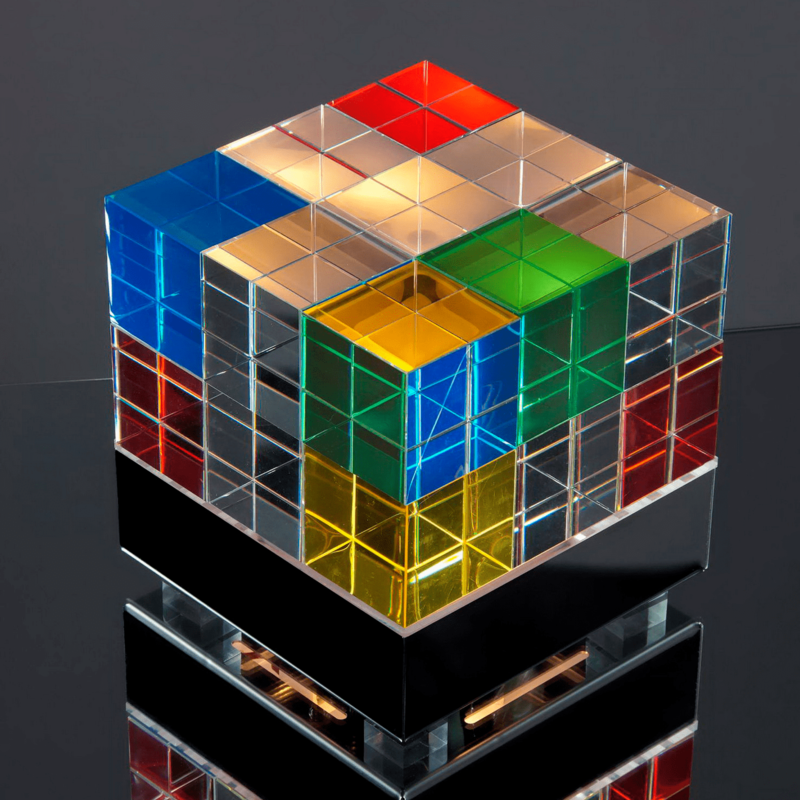 The cubes with an edge length of 50mm (minor variations are possible) are simply placed on top of the housing cover and the LED light (16 Watt, 1260 lm, 2700 Kelvin) is switched on. 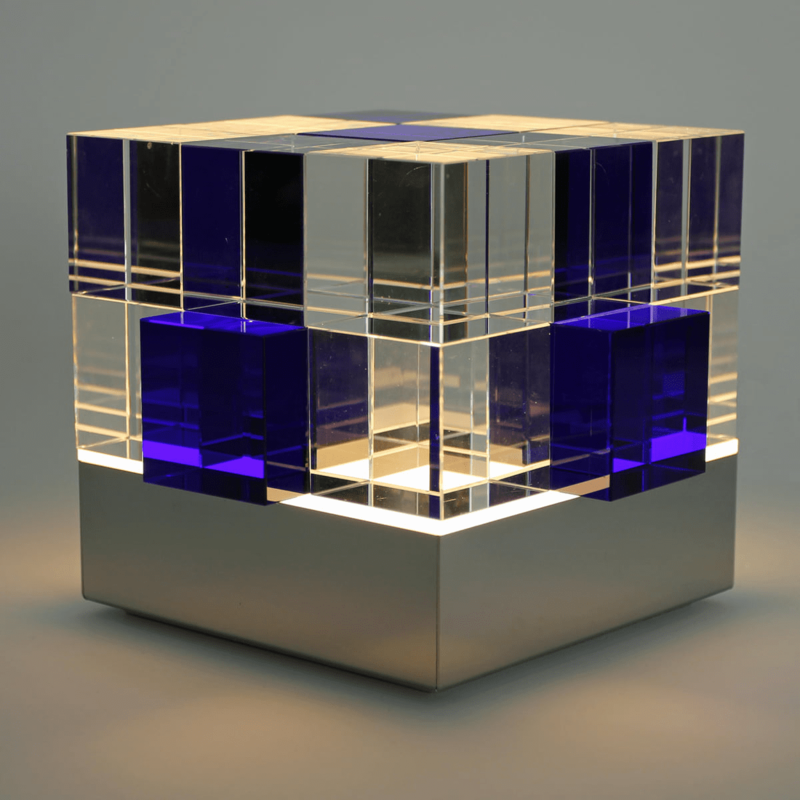 The clear design language and the similarity to the Bauhaus design make this beautiful piece a timeless eye-catcher on every table, shelf, bar, counter etc. Each item is consecutively numbered. 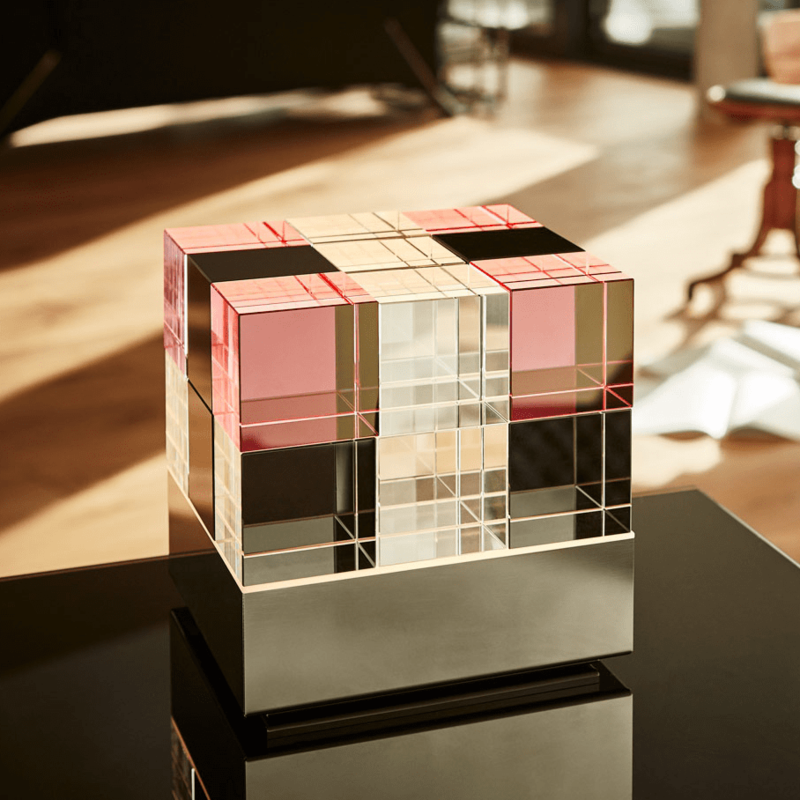 In 2014, the Cubelight won the 2nd place in the "Lamp of the Year 2014" competition (highlight / onlight) and was twice awarded the reddot winner award 2016.